The first captured Africans brought and sold as indentured servants in Jamestown Colony was 1619. Here is the documentation. The number of Africans is documented with colonial Virginia’s census, compiled in March 1620, at which time the population included 892 Europeans and, among “Others not Christians in the Service of the English,” were four Indians and thirty-two Africans. Fifteen of the Africans were male and seventeen were female. 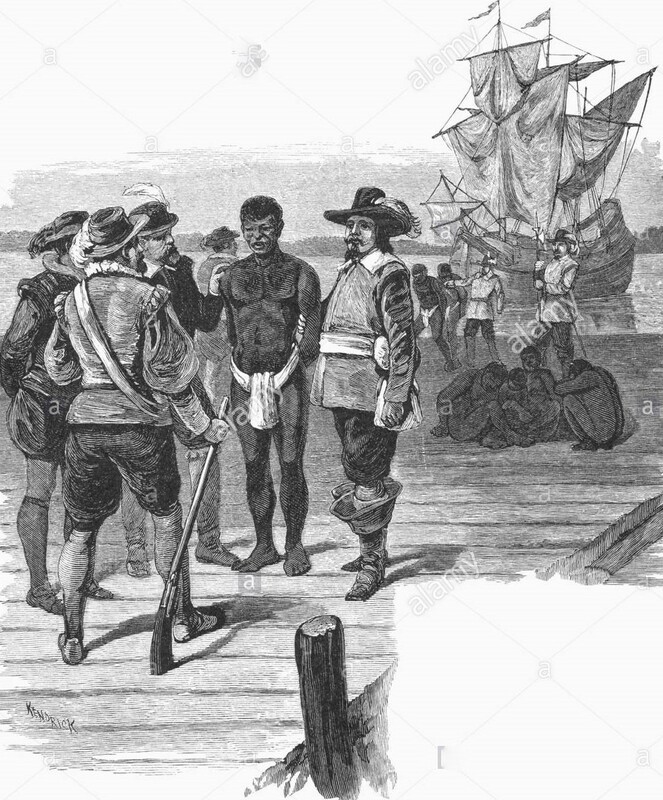 Although it is uncertain where the Africans lived, some probably resided at Jamestown in the households of Sir George Yeardley (who arrived in May 1610) and Captain William Peirce, both of whom later were credited with having black servants. An indentured African named Antonio arrived in 1621 in Virginia aboard the ship the James. 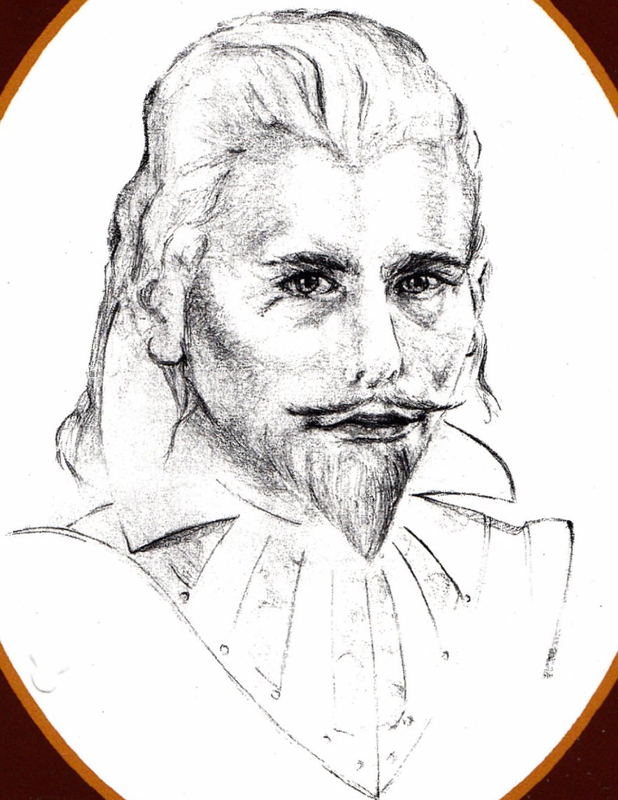 The following March 22, 1622, he will be one of only a handful of people who manage to survive an Indian attack on the plantation of Edward Bennett, outside of Jamestown. The Indians led by Chief Opechancanough of the Powhatan tribe attacked English settlements, killing as many as a quarter of the colony’s inhabitants. They murdered men, women, and children in a surprise onslaught. The attacks took place on tobacco plantations along the James River that were some distance from Jamestown. There were 347 colonists or at least a quarter of Virginia’s 1,200 English population, killed. The Indian chief became weary of the English encroachment on Powhatan lands. Two of the first Africans (indentured servants – who could be brought and sold) to be brought to North America in August 1619 were simply called Anthony and Isabella. They married and on January 3, 1624, gave birth to the first black child born in English America. 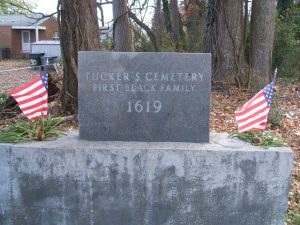 They named him William Tucker in honor of a Virginia planter, Captain William Tucker. Records confirm it due to his being baptized in the church in Jamestown, Virginia. The couple, Anthony and Isabella, had worked in the tobacco fields and cypress groves of the captain’s plantation. Their son later married a mixed-race woman and had a family of his own. He was an indentured servant who completed his contract and became very well off and owned indentured servants himself in Elizabeth City County, Virginia which is now the city of Hampton. It is unknown when the 1624 William Tucker died but it is believed he was buried in Hampton in the Tucker Family cemetery. By 1624, when the next census in the Jamestown Colony was compiled, the African population had dropped to twenty-one. Some of the Africans probably had succumbed to the so-called ‘seasoning’ process, whereby summertime diseases killed a majority of new residents during the colony’s first few decades. For this reason, Jamestown leaders periodically requested that ships carrying new servants arrive during the winter months. Four of the eleven Africans living at Flowerdew Hundred Plantation were identified by name: Anthony, William, John, and another Anthony. This location was a plantation on the upper reaches of the James River owned by a leading merchant Abraham Peirsey who had purchased the slaves from Governor George Yeardley. The 1625 census listed twenty-three Africans and a single Indian, all servants, who resided on plantations scattered from the mouth of the James River to Flowerdew Hundred. As servants, they probably lived in houses separate from their European masters. 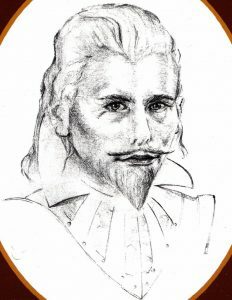 By 1628, the African population in Virginia Colony jumped dramatically when the ship Fortune, out of Massachusetts Bay, captured a Portuguese slaver carrying about 100 Angolans, whom the captain sold in Virginia in exchange for tobacco. So truly begins the long history of African slaves brought to Virginia, sold and who worked in the tobacco fields. This is some basic information which might tie-in to your family tree if your ancestors originated along the James River in the 1600s.